JSM provides fully integrated solutions, simplifying the process and allowing clients to effectively interact with customers. Starting with data and analytics right through creative format, digital and print production, piece-level tracking and response processing, JSM provides our clients with tools for enhanced interaction with customers at any stage of the customer lifecycle relationship. We organize production and streamline workflow so our clients can focus on building businesses, reinforcing brands and strengthening relationships. Our suite of solutions starts with understanding customers and behavior then executing strategy across multiple channels of communication. JSM is committed to providing each client with options and solutions that are fast, efficient and improve ROI. We tailor our services to your individual needs. Jetson Companies have over 60 years of experience delivering advanced production technology and industry leading solutions to the retail, financial, healthcare, publishing and insurance industries. 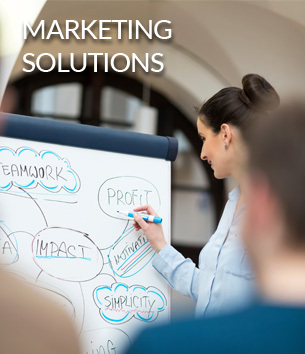 JSM’s integrated marketing services solutions offer our clients a diverse portfolio of capabilities to effectively target, communicate and interact with customers throughout their engagement lifecycle.